The Israeli government concluded a strategic agreement with the EU police agency Europol on Tuesday. 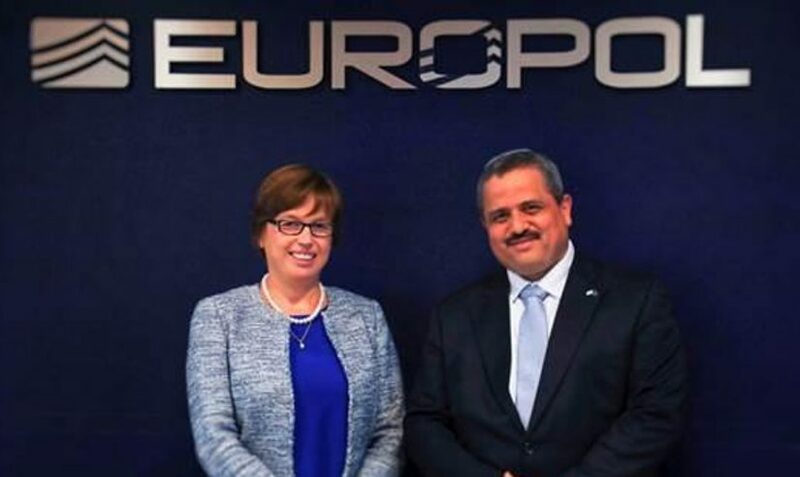 Israeli police chief Ronen Alsheich met the new Europol director Catherine De Bolle in The Hague for the signing ceremony. The Treaty provides for cooperation to combat cross-border crime. This includes cybercrime as well as fraud and terrorism. The 28 Member States can now also collaborate more closely with Israeli authorities. The participants exchange, for example, situation reports or trend analyses. Personal data are not covered by this agreement. The treaty was controversial for a long time. The Council of the European Union had already instructed the Commission in 2005 to draw up a draft to this effect. However, the signing failed because of the so-called territorial clause, which the European Union uses to sign all treaties with Israel. Accordingly, the agreements do not apply in the territories that Israel conquered in 1967 during the Six-Day War. This concerns the West Bank, Gaza Strip, the Golan Heights and East Jerusalem. The jointly claimed capital was regarded as the bone of contention of the Europol agreement, as the Israeli police have a directorate in the Sheikh Jarrah district. There there are regular clashes with Palestinian demonstrators. According to the Israeli newspaper Haaretz, the Israeli government has succeeded in keeping the territorial clause out of the strategic agreement. Now an operational agreement is to follow, according to which personal data can also be exchanged. Under the new Europol Regulation, these contracts will no longer be negotiated by the Police Agency but by the European Commission. In December the Commission adopted Council recommendations to open negotiations with eight governments in the Middle East and North Africa (MENA) region, including Algeria, Egypt, Jordan, Lebanon, Morocco, Tunisia and Turkey in addition to Israel. The agreements concern all authorities responsible for combating serious crime and terrorism. For Israel, the Commission’s proposal for the exchange of personal data contains the contentious territorial clause. This could mean that Europol cannot process data from the occupied territories. In this case, however, the origin of the data would have to be identified. The implementation of this target is now being negotiated by the contracting parties. At the end, the police contract must be voted on in the European Parliament. Non-recognition of the Occupied Territories also plays an important role in other cooperations. In 2014, the EU Commission published fundamental rules on the allocation of EU funds, according to which the territorial clause must always be respected. Israel, for example, is one of 14 countries participating in the EU Neighbourhood Initiative (ENI), which is allocating 85 million euros in a first section. The programme started as early as 2014, but Israel’s participation was decided by the cabinet only six months ago and finally signed by the relevant ministries. These included the Foreign Ministry headed by Tzipi Hotovely and the Ministry of Justice under Ayelet Shaked, both known as strong supporters of settlement policy. The dispute over the territorial clause particularly affected cooperation in the field of research and development. In 2014, the Israeli government signed to participate for the third time in the EU Research Framework Programme, which was launched at the time under the title „Horizon 2020“ and allocates around 80 billion euros. According to media reports, the passage on the non-recognition of the occupied territories is included in the research contract. However, the government in Tel Aviv states in an addendum that it does not recognise these guidelines. Israel was the first non-European country to participate in EU research funding, and the circle has now grown to 16 countries. Since 1996, Israeli participants have contributed almost 1.4 billion euros to the funds and have received 1.7 billion euros in 3,000 projects. In „Horizon 2020“ Israel would spend around 600 million euros by 2020, but would receive more than one billion euros in funding. Germany is the leading partner country with Israel in „Horizon 2020“, as it was in the previous programme, followed by Great Britain, France, the Netherlands, Spain and Italy. In the field of security research, Israeli companies have participated in the development of unmanned tanks for border surveillance, for example, and research is currently underway to predict risks at airports and check passengers.